Cambium Networks industry-leading 450 platform includes the all new PMP 450i and PTP 450i radios. 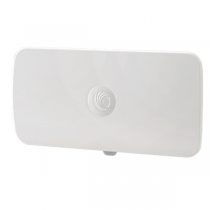 The 450i product platform is the most scalable industrial-grade wireless broadband solution available. 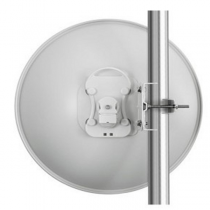 • An ultra-wide band radio supports 4900 MHz to 5925 MHz with dynamic interference filtering, improved transmit power and better receive sensitivity. • Rugged metal enclosure designed to meet IP-66 and IP-67 standards to withstand harsh environments. Optional ATEX/HAXLOC certified models available for hazardous deployments. 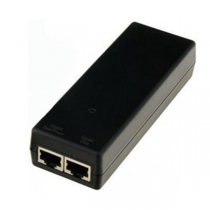 • Multifunction AUX port allows for greater flexibility for deployment by adding a camera or other PoE directly. 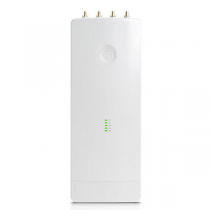 Cambium Force 300-25 combines the latest 802.11AC Wave2 technology and field-proven proprietary ePMP protocols to announce the first product from the next generation ePMP portfolio. Designed to operate as an affordable, yet highly reliable, point-to-point product offering 700 Mbps throughput, the Force 300-25 will also serve as a high-gain subscriber for future ePMP access points. With its introduction, Force 300-25 opens up opportunities for short- and long-haul backhauls where throughput, interference, and resiliency are important, while keeping costs down. Applications range from enterprise building-to-building connectivity to traditional WISP backhaul needs.